In Sardinia more people live to be 100 or older than anywhere else in the world. And as a scientific study has shown, this longevity is attributable not to the Sardinian gene pool but rather to the island’s relaxed and healthy lifestyle. But by no means do Sardinians live like monks. 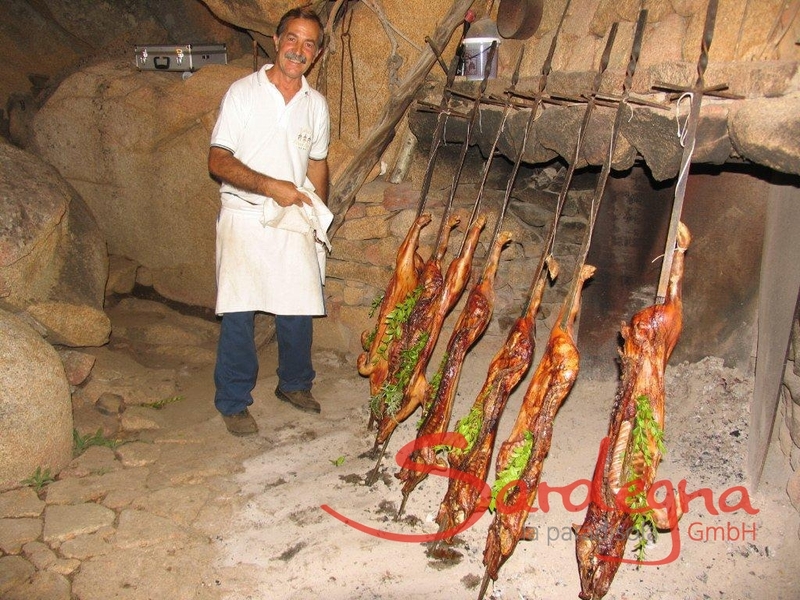 Indeed, Sardinia is an earthly paradise for people who love fine food, including fragrant bread fresh out of the oven, delectable skewered meats roasted over an open pit, spectacularly fresh seafood, countless varieties of Sardinian Pecorino cheese, not to mention fresh fruits and vegetables directly from the grower and of course full-bodied wines. Sardinian cuisine is famed for its use of fresh, in-season ingredients from the Mediterranean region. And what could be better than enjoying a glass of Sardinian red wine while you wait for your pasta, porchetto or aragosta and pick out words you understand from the undercurrent of neighboring conversations. Memorable too are visits to Sardinia’s cantina sociale where local wines, including Grappa, are produced and sold. Sardinia’s best known bread is aptly named "Pane carasau" or carta di musica (music paper), a dry, light, hearty and extremely thinly sliced shepherd’s bread composed of rounds of superimposed crispy layers of dough. When shepherds combine this delicacy with tomato sauce and egg, it becomes pane frattau. Explore with a special wine itinerary and gastronomy itinerary the richness and variety of the Sardinian wine and food from north to south. 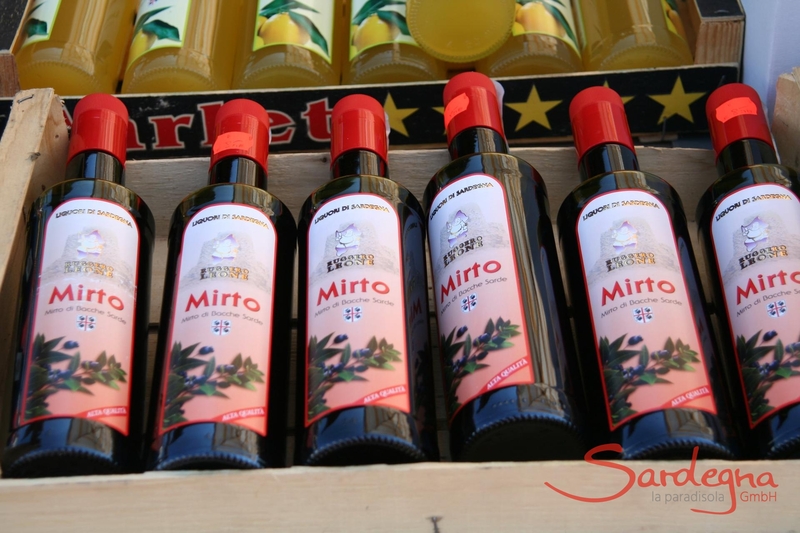 For a premium choice of Sardinian specialities, which are delivered to your home, please visit Kara Sardegna. In the following, we present you a list of the most important wineries. 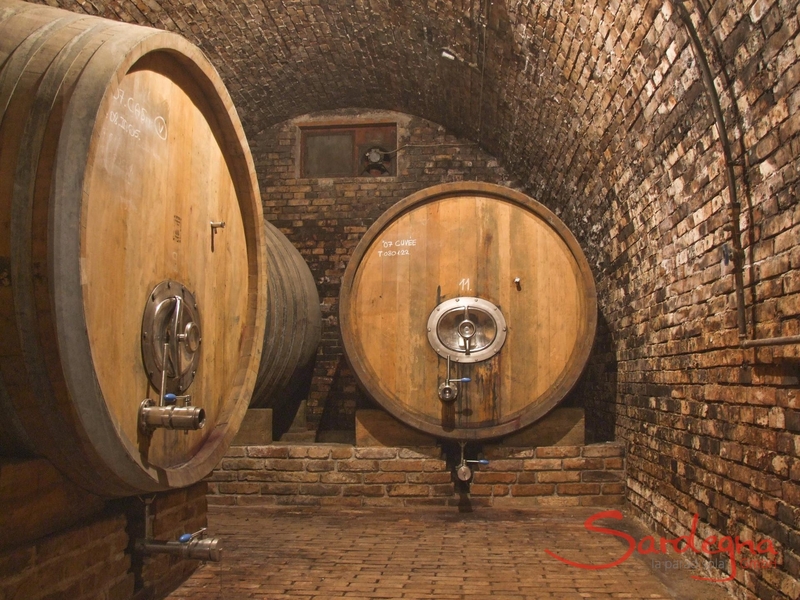 We recommend you to get in touch with the companies in order to make an appointment for a winery visit and tasting. 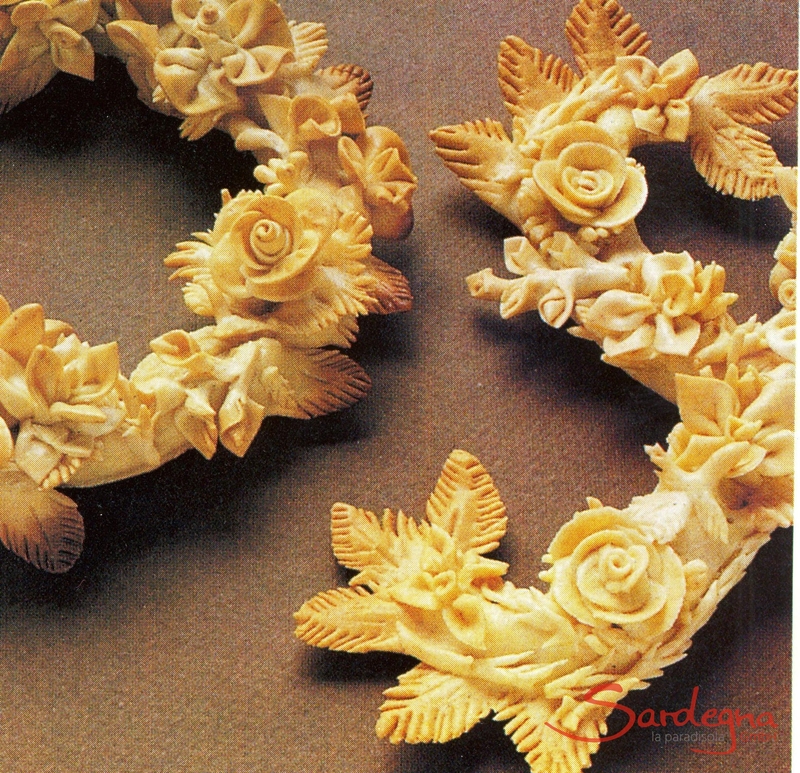 Sardinia’s arts and crafts are a successful mix of aesthetics and practicality. Only regional materials like cork, sheep’s wool, silver, coral and chestnut wood are used - for unforgettable souvenirs from your sun-drenched, favourite island. When Sardinia celebrates, it’s always a lively occasion. Christian and pagan customs, medieval spectacles and colourful costumes - since time immemorial, Sardinians have certainly known how to party. Whether at Easter, during carnival or one of the modern music festivals. Influences of the diverse Mediterranean peoples flow through the music, singing and dances, simultaneously keeping old traditions alive. Sardinia’s musical panorama is traditionally fascinating: from the ancient, traditional Canto a Tenore singing through launeddas flutes all the way to modern jazz festivals - Sardinia speaks multiple musical languages. And all this in Italian, Sardinian and Catalan. There can be no doubt that Sardinia is a culinary island. From renowned specialities like the world-famous Pecorino Sardo through freshly caught fish and seafood to traditional specialities like Pane carasau bread - an unbeatable experience to savour with a glass of Cannonau. Sardinia’s traditional costumes reflect the deep-rooted history of the sunny island. With colourful, high-quality fabrics and artistic embroidery, they are much more than mere clothing - they are a symbol of cultures, origin and religiosity and are worn at traditional festivals.